Born in 19 BBY as the son of the fallen Jedi Knight Anakin Skywalker and the Queen and Senator of Naboo, Padmé Amidala.Luke was raised on Tatooine and hidden from Emperor Palpatine and his father, who had recently become Darth Vader, Dark Lord of the Sith. 9. 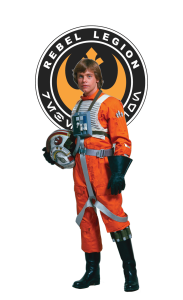 X-Wing helmet with Luke’s decals.